Q: IBM supercomputer Watson (“Weird” Al Yankovic) and “Jeopardy!” champ Ken Jennings (Ken Jennings) have to go on the lam from the government, and a host of shadowy figures played by Mayim Bialik, Adam Pally, Michael Ian Black, and more. 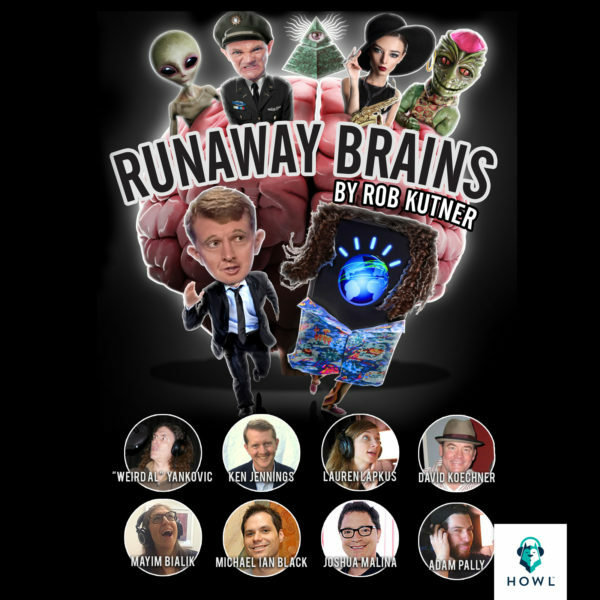 A: What is Rob Kutner’s Howl.fm audio series RUNAWAY BRAINS? 82 celebrities. 28 songs. 5,000 years of American history. One great cause. “2776” is Kutner & The Levinson Brothers’ epic sci-fi-musical-comedy album, benefitting the educational charity OneKidOneWorld. Learn more, watch videos, and download here! 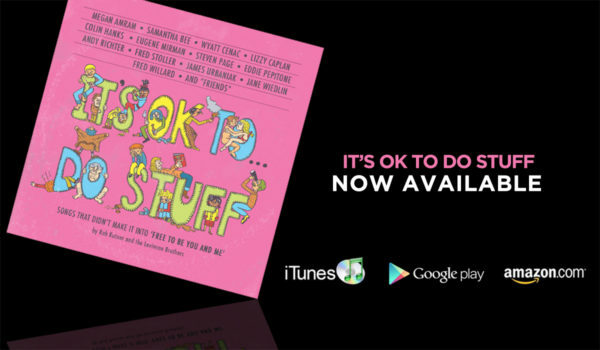 Another Kutner/Levinson joint: 40 years after “Free to Be You And Me,” this star-studded, highly irreverent “update” benefits St. Jude’s Children’s Hospital. All materials copyright © 2019 Rob Kutner. All Rights Reserved.